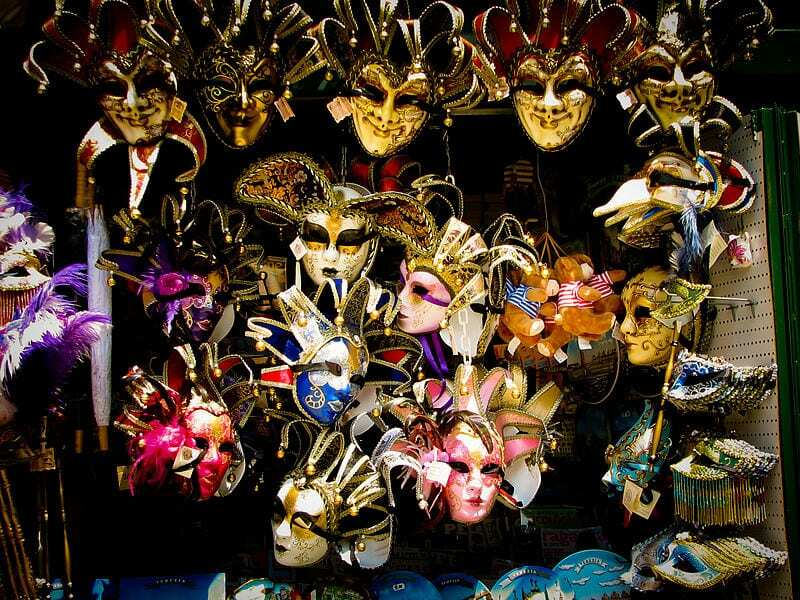 Home » All Articles » Venice » All About Carnival in Venice: Venetian Masks and More! (And by the way: In honor of Carnevale, we’re running a 20% off discount code, good for all group Walks of Italy tours, through February! Find out more at the end of the post). Carnevale in Venice, as with Carnival around the world, takes place in the days leading up to Lent. In 2013, it runs from January 26 to February 12. 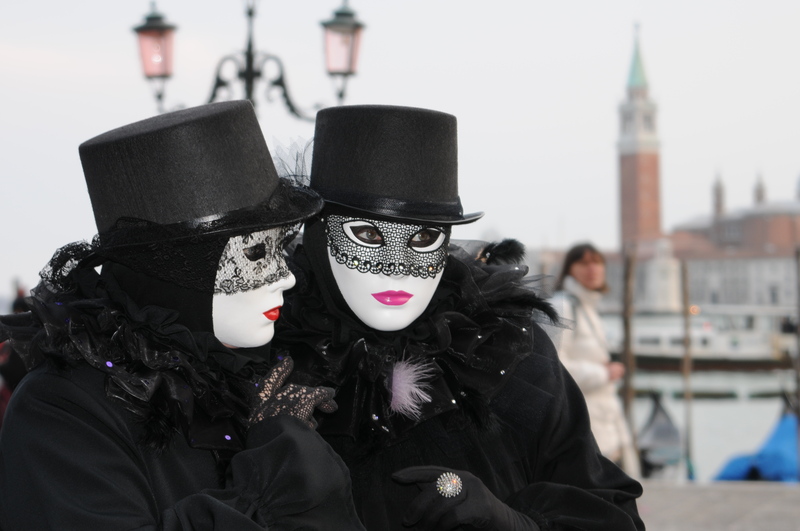 By the 18th century, Venetians were allowed to wear masks for six months a year. And they took advantage! 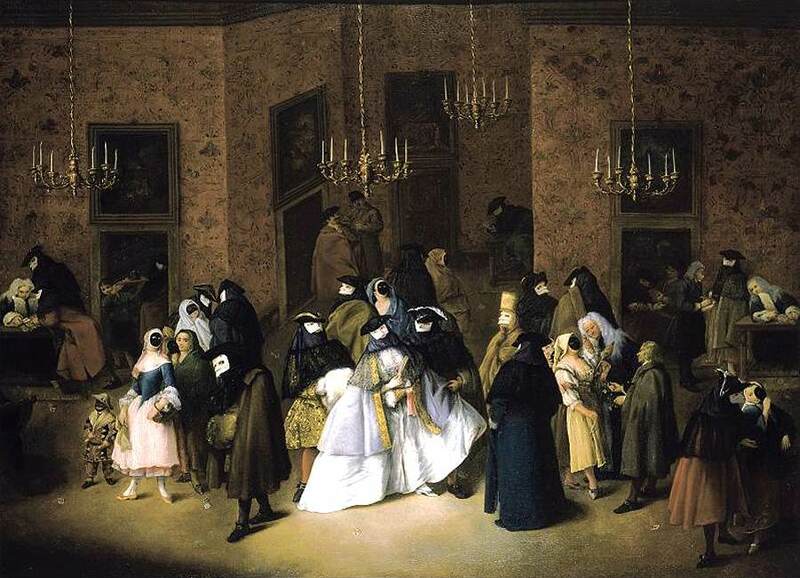 Black velvet masks, for example, would be worn in “houses of ill repute”—especially gambling parlors—to shield their owners’ identities, as shown in the painting here. Don’t miss our video on mask-making in Venice today, below! So… you’re saying Carnevale in Venice has been celebrated non-stop since the 13th century? Not quite. By the 18th century, Venice’s Carnevale festivities were going downhill. With the Austrian conquest of Venice in 1798, mask-wearing—as well as Carnevale—were all but finished. In the 1930s, Mussolini banned the celebrations altogether. A typical sight during Carnevale in Venice! So what changed? In 1979, a group of Venetian artisans banned together to restart Carnevale. If that seems like a ploy for tourism, it was—and it was one that worked. Today, about 3 million people travel to Venice every year for Carnevale. The 1970s are also when the long-forgotten art of mask-making was restarted. What is Venice’s Carnevale like today? Today, Carnevale in Venice is a huge celebration that goes on for two weeks. While many events—particularly the opulent masquerade balls—require invitations and have steep ticket prices, many others, like the candle-lit parade of boats, concerts, and street performances, are free and open to the public. (You can see a complete program for the 2013 Venetian Carnevale here). 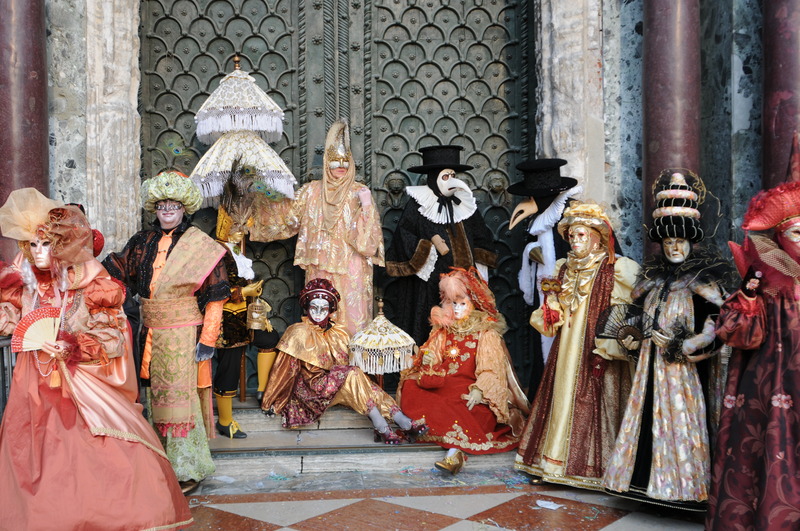 Gorgeous costumes abound during Carnevale in Venice! Well, bummer. I’m not going to be in Venice during Carnevale. Can I get in on the fun anyway? Benor Maschere Venezia (Santa Croce): Hidden behind Campo San Giacomo dell’Orio, this artisanal mask shop boasts a gorgeous collection, all made there in the workshop. Tel. : +39 041710033. Address: S. Croce 1109. Ca’ Macana (Dorsoduro): This Venetian mask shop, located just off Camp San Barnaba, has an unparalleled selection of Carnevale masks; better yet, they’re handcrafted in the workshop right there, and you can watch them being made. Tel. : +39 0412776142. Address: Dorsoduro 3172. Ca’ del Sol Maschere (San Marco): Artisans handcraft the Venetian masks at this shop a 5-minute walk from St. Mark’s Basilica; exquisite Carnevale costumes are on sale here, too. Tel. : +39 0415285549. Address: Castello 4964. Il Canovaccio (Castello): The artisans here create Venetian masks and papier-mâché objects meant for the stage. Tel. : +39 0415210393. Address: Castello 5369. I think that visiting Venice during the carnival period is the best choice that a tourist could do. Maybe, in those days the city could be really crowded, but the colors, the fun and the party atmosphere that are in the air, it’s something that everybody should try and live!!! Ciao Monica, Carnevale will be taking place on Sunday February 15th, 2015. Good luck, and we’re here if you have any questions! Hey … It is a very helpful article. Thanks for sharing this amazing reasons. I am also planning to travel next year.